And when it comes to comfort, it can’t be beat. The plush, hand-crafted upholstery is marine-grade and UV-resistant, and offers plenty of storage below. The dual-latching gates open inward for safety and convenience, and the new easy-to clean vinyl flooring is very fishing friendly. Shipped standard with a Mercury® 40HP ELPT FourStroke Command Thrust, the BASS BUGGY 18 DLX makes cruising the coves a pleasure. Continue reading for more information on the SUN TRACKER BASS BUGGY 18 DLX. We family sized the fishing boat! 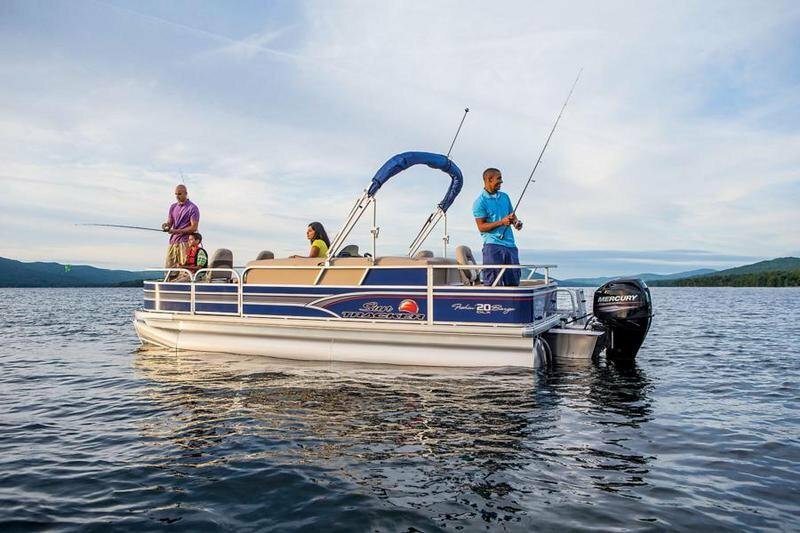 The Bass Buggy® 16 DLX takes some of the biggest features anglers want in a fishing boat and put them into a boat that’s large enough to comfortably accommodate a crew of seven. Turn up the music on the NEW stereo system with tunes from your MP3 player, smartphone or favorite radio station. Tone down the heat by extending the Bimini top, or using the changing room to get in a swimsuit and taking a dip off the rear platform. Dial up the fun with a board game at the removable table, or with a picnic prepared at the refreshment center. Whatever you do, we’ve cranked up the comfort level to the max, and then some, with NEW upholstery and furniture throughout. Continue reading for more information on the Sun Tracker Regency 220 DLX. Big on comfort. Bigger on thrills. 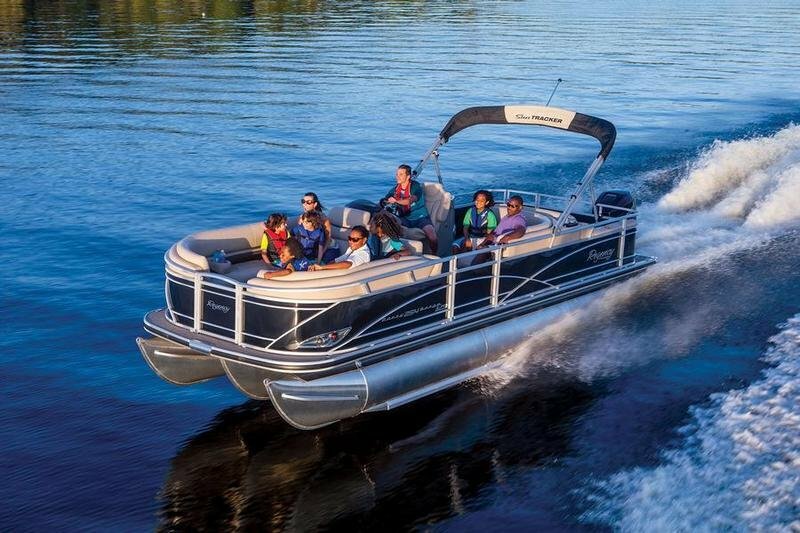 At 27’ 5” (8.36 m) long and 8’ 6” (2.59 m) wide, the REGENCY™ 254 XP3 is one pontoon boat that knows how to go bigger on everything! 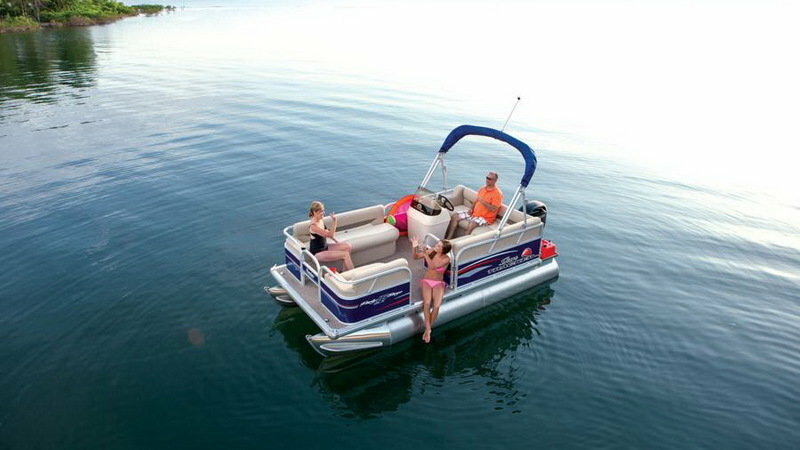 It boasts bigger performance with the XP3 performance package, hydraulic steering and up to a 300-horsepower outboard. Bigger comfort with NEW upholstery and extra-plush seating throughout. 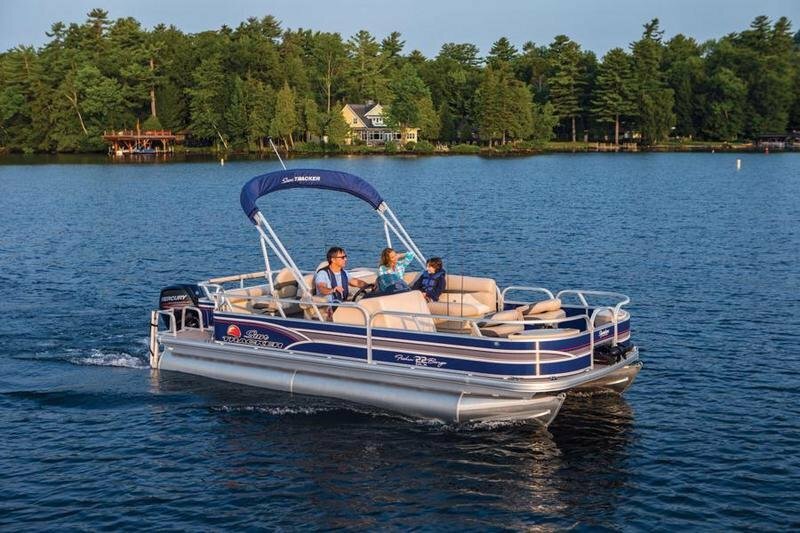 Plus, with a huge swim platform (with NEW surface and ladder), deep storage, Bimini top, refreshment center and NEW stereo system, it goes much bigger on convenience and fun! Continue reading for more information on the Sun Tracker Regency 254 XP3. Sun Tracker builds pontoon barges of all shapes and sizes for a variety of specific purposes – and yes, throwing a party is a specific purpose! 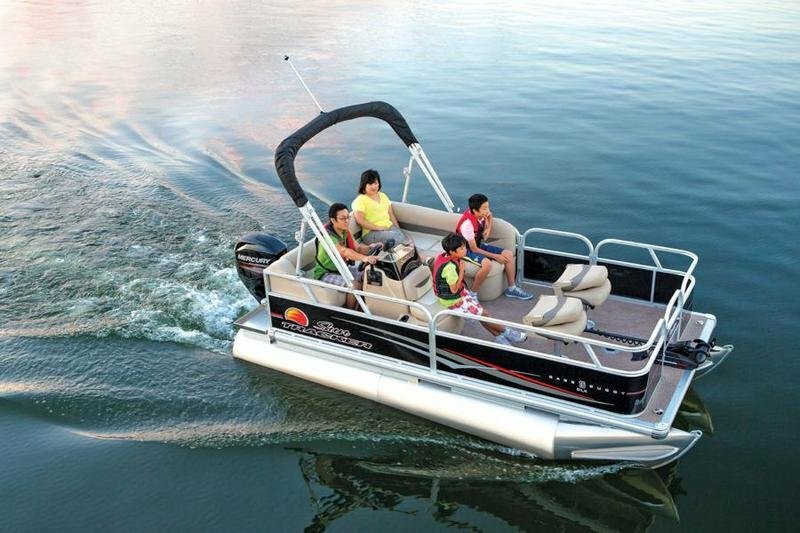 The compact, 2016 Party Barge 16 serves such a purpose, and is capable of carrying up to seven persons in comfort despite its small size. Price, size and power requirements are all near the lower end of the spectrum, leaving this pocket-sized party platform accessible by entry-level buyers, or folks just looking for something that will fit in the garage. 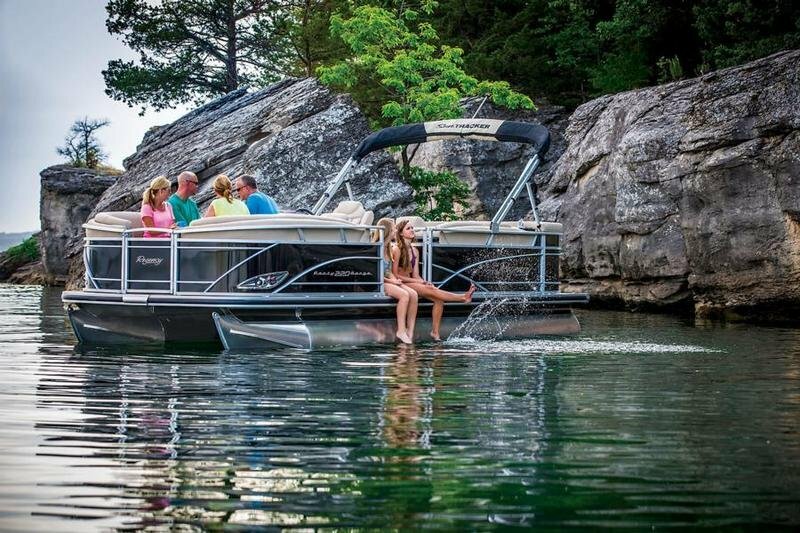 With the stability of pontoons, a walk-around deck to fish from, a live well, seating and storage options few fishing boats have, and a bimini top for days of rain or sun, Sun Tracker’s 2015 Bass Buggy 16 DLX ET has an additional advantage: an electric outboard. Although priced similarly to many other fishing boats of the same size, the 16 DLX ET doesn’t include one essential accessory, a trailer. 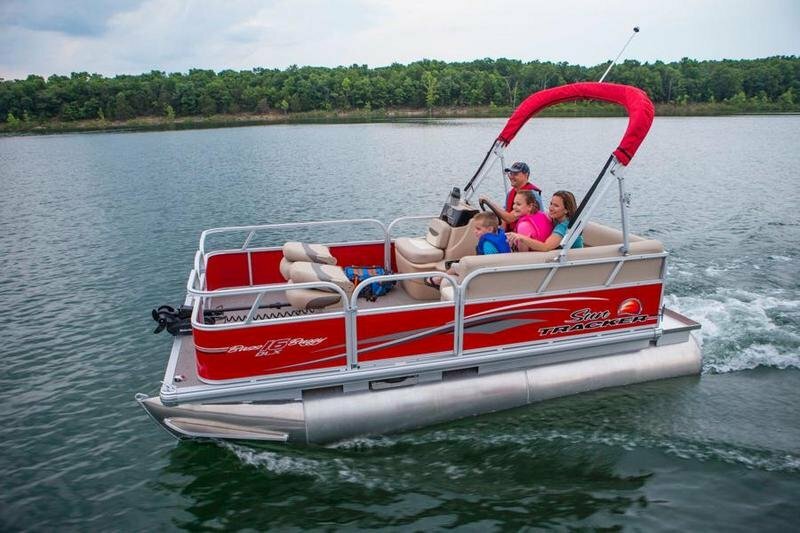 But it has 16 feet by 7 feet of deck space that’s 100 percent usable for fishing, with almost no chance of being tossed willy nilly into the water by an errant boat or jet ski’s wake. 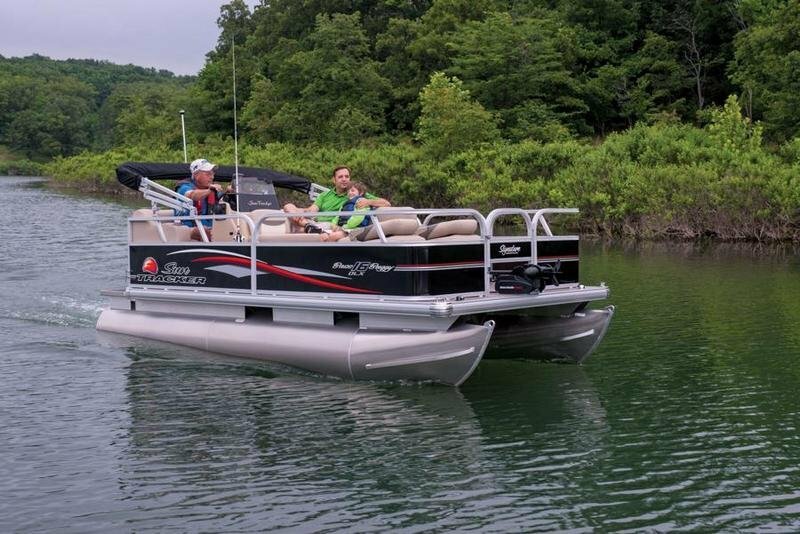 Sun Tracker’s pontoon boats offer a pair of stylish pontoons, a mount for an outboard and the best walkaround deck you can find. 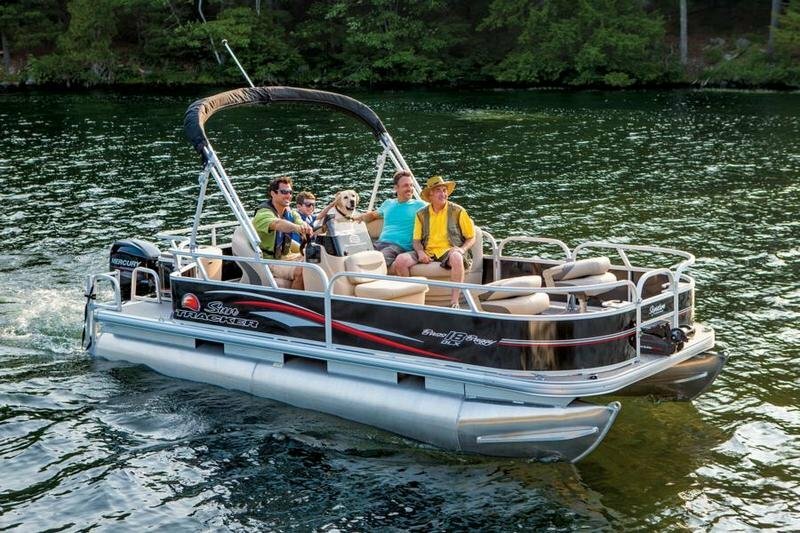 The Fishin Barge 20 DLX offers room for 10 on that deck, along with three folding anglers’ chairs and a plethora of rod holders in convenient locations. For 2015, Sun Tracker has added a redesigned control console with a binnacle-type throttle. The console comes equipped with a wraparound shroud and removable windshield to keep you dryer while you’re at the wheel. The 20 DLX also offers two – not one —live wells and, as a safety feature for families with children, in the form of boarding gates with double latches which can, nonetheless, latch into an open position.